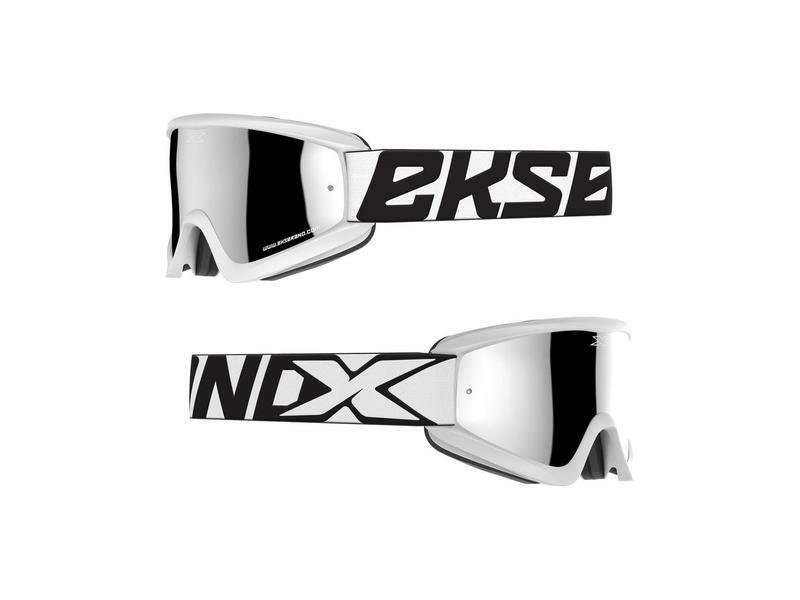 Startseite / / 2019 "EKS Flat Out MIRROR - White/Silver"
EKS Brand / 2019 "EKS Flat Out MIRROR - White/Silver"
GOX Flat-Out Mirror is one of the best selling goggles in EKS Brand's impressive line-up of clear-vision off-road protective eyewear. 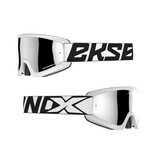 The original GOX goggle introduced our rider favored, ultra-pliable Poly-Flex urethane frame material. 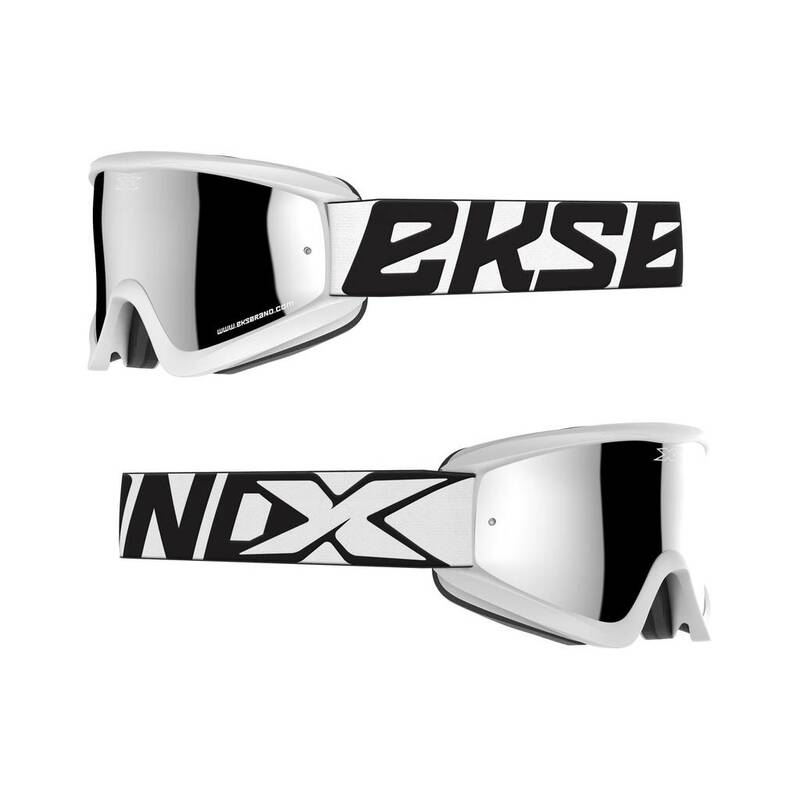 GOX Flat-Out Mirror is one of the best selling goggles in EKS Brand's impressive line-up of clear-vision off-road protective eyewear. The original GOX goggle introduced our rider favored, ultra-pliable Poly-Flex urethane frame material, now with a matte finish, multi-layer neoprene fleece lined face foam, and anti-fog coated lens. GOX Flat-Out is the highest value-added goggle on the market with its best-fit and function. The GOX frame is designed for maximum field of view and to fit perfectly inside the eye-port of most helmets. The lightweight, Poly-Flex urethane frame has a firm yet pliable feel for ultimate comfort and protection. The exclusive frame material allows the GOX goggle to conform comfortably to a variety of face shapes. The GOX Flat-Out features a fresh looking matte finish. GOX Flat-Out goggle includes the highest quality polycarbonate, shatter-resistant, anti-scratch, and anti-fog coated lens with 100% UVA protection. Tear-off posts integrated into the premium lens for quick and easy tear-off installation. Anti-static smudge resistant goggle bag comes standard in every box. Unique and premier designs featured on each high-quality woven strap, with double buckles for maximum adjustability, silicone backed for secure strap placement and firm hold around your helmet. Includes 17mm thick, 4-layer face-foam, lined with a moisture-wicking fleece lining, providing the best anti-drip, sweat protection available. The specially designed 100-PPI reticulated vent foam induces maximum airflow while keeping unwanted dust and debris out, which also allows moisture and condensation to escape freely, preventing lens fogging in varied riding conditions.